The Signature Audio S is a new model from QED, one of the UK's cable pioneers whose range now covers practically every imaginable home entertainment application. QED has clearly not forgotten its roots in specialist hi-fi, though, and this cable shows every sign of attention to audio detail. Quite a bulky design, some 8mm in diameter, it features multiple conductors internally, six to be precise, in a 'quasi-balanced' connection – current is carried by the cores, while the screen is normally connected at one end only, the nearest to true balanced operation that can be managed with the intrinsically unbalanced phono (RCA) plug connection. Silver-plated copper is used, with a dual-layer screen that's particularly dense and the plugs are very high-quality, rhodium-plated types with split centre pin for good grip. 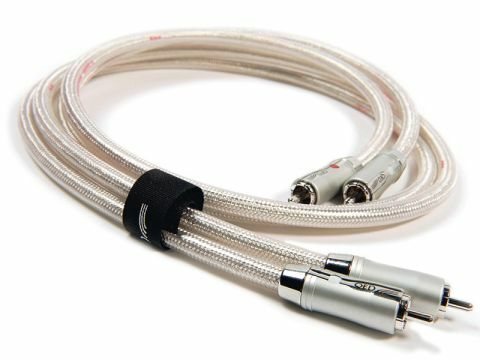 Multiple cores give the cable high, but not problematic, capacitance and improve hum immunity. We found this cable to have a very slightly 'dark' balance, just perceptibly favouring the upper bass, which, however, did nothing to conceal a lively and informative treble. Deep bass is quite lovely, with great impact but no shortage of control where needed and, as a result, excellent tunefulness. We have slight concerns about the imaging, which didn't seem to us the most precise, though lateral imaging is broad and stable. We did particularly like the sound of voices via this cable, the tonality giving both male and female voices real impact and very good communication. In general, it's inclined to emphasise the melodious nature of music rather than the rhythmic.